January 15, 1929 in Atlanta GA, Mrs. Alberta Williams King gave birth to a baby boy, Martin Luther King Jr. 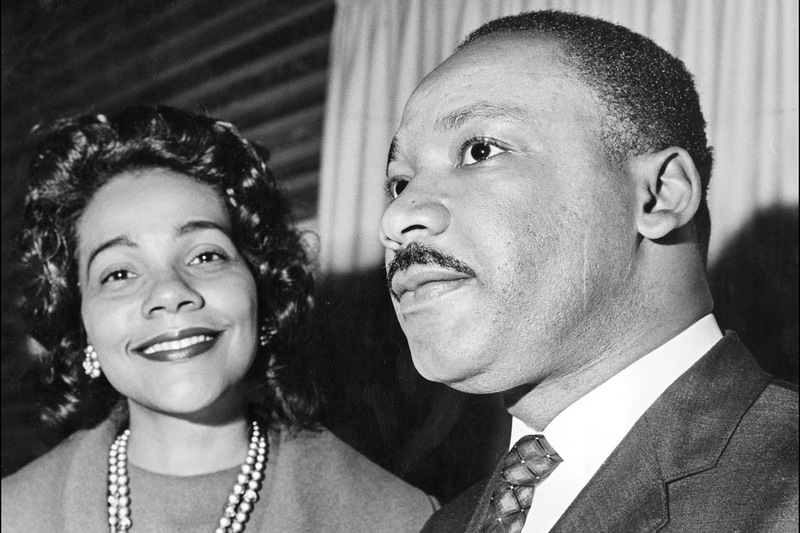 Growing up, Dr. King sang in the choir at his family's church. 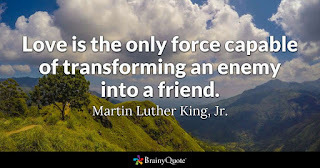 At the age of 6, Dr. King befriended a white child but they were separated as they started school. 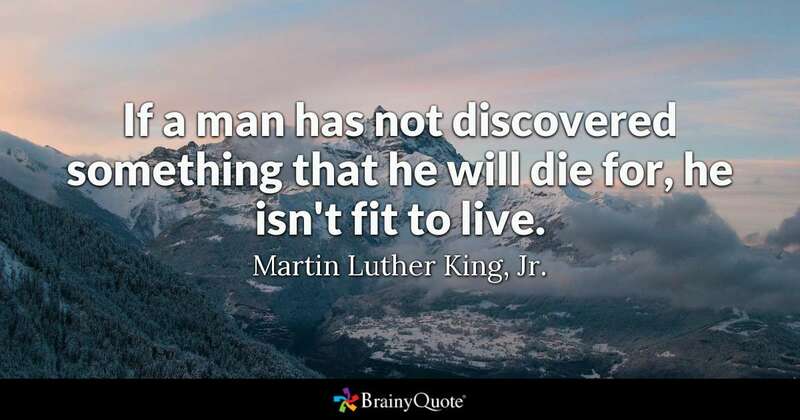 King suffered from depression through much of his life. In his adolescent years, he initially felt resentment against other races due to the "racial humiliation" that he, his family, and his neighbors often had to endure in the segregated South. At age 12, after the death of his grandmother, King blamed himself and jumped out of a second-story window, thankfully surviving. In High School, at Booker T Washington High, he came known for his distinguished public speaking ability. He joined the schools debate team. 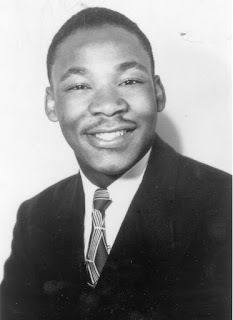 In 1942, King became the youngest assistant manager of a newspaper delivery station for the Atlanta Journal. During his JR year, he won first prize in an oratorical contest. The respective Morehouse College announced during Kings' JR year that they would accept any student who could pass their entrance exam. At the young age of 15, King passed the exam and entered Morehouse. At 18, the summer before his last year at Morehouse, Dr. King decided to enter the ministry. 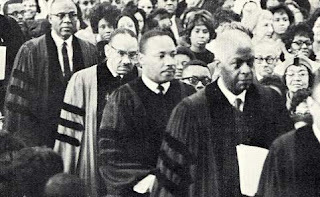 Graduating at 19, with a BA in sociology, he then enrolled in Crozer Theological Seminary in Chester, PA. At Crozer, King was elected president of the student body. In his third year he became romantically involved with the white daughter of an immigrant woman who worked as a cook in the cafeteria. King planned to marry her but was advised against it by friends. They convinced King to break off the relationship because "an interracial marriage would provoke animosity from both blacks and whites, potentially damaging his chances of ever pastoring a church in the South." A friend of Kings stated that his feelings for this woman always lingered and that "he never recovered". He graduated in 1951. 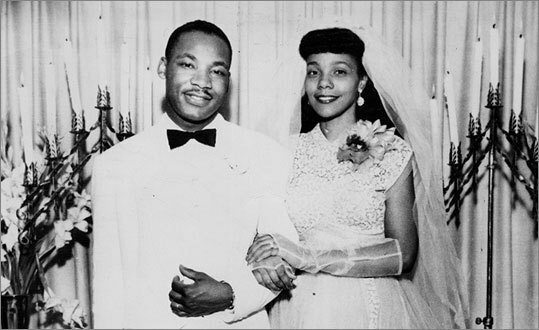 In 1953, Dr. King married Coretta Scott on the lawn of her parents home in Alabama. They had 4 children together. 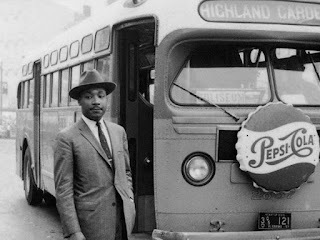 In 1955, The Montgomery Bus Boycott, a civil-rights protest, African Americans refused to ride the city buses in Montgomery, AL to protest the seating segregation. 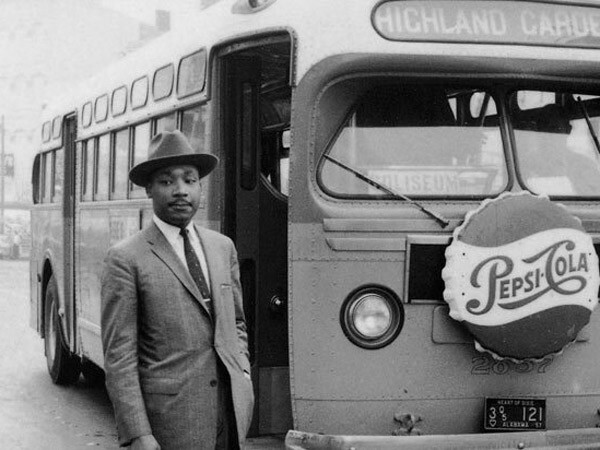 In 1956, the protest proved successful when the Supreme Court decided that the segregation laws on buses were unconstitutional. 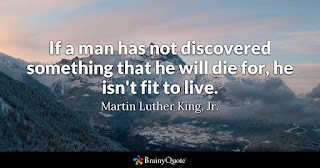 Dr. King, as the chief spokesperson, was fundamental in the success of the Civil Rights Movement. It ended the segregation of African Americans in the South and other parts of the USA. As head of the Southern Christian Leadership Conference, King rose to national prominence. He promoted nonviolent tactics, such as the massive March on Washington. 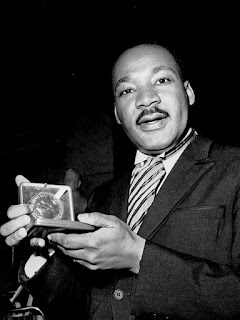 In 1964 Dr. King was awarded the Nobel Peace Prize. Tragically, the life of this influential man was stolen by assassination in 1968. President Ronald Reagan signed Martin Luther King Jr Day into law in 1983. 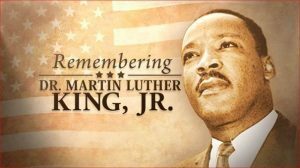 Martin Luther King Jr Day is an American Federal Holiday marking the birthday of Martin Luther King Jr. 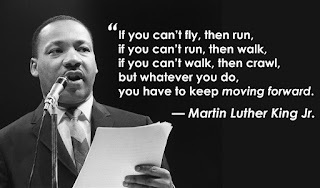 The Holiday is observed on the third Monday of January each year, falling close to Dr. King's birthday, January 15th.